This will be Little A’s second Valentine’s Day, but I suspect this one will pass him by just as the last one did. I’m just keeping my fingers crossed that my husband won’t be traveling this year (as he has been almost every single Valentine’s Day since we met) so that we can go on a date. If you have bigger kids who are into Valentine’s, here are some great crafts and activities you can all do together! On hellobee you will find these three cute valentine’s card ideas. So sweet! 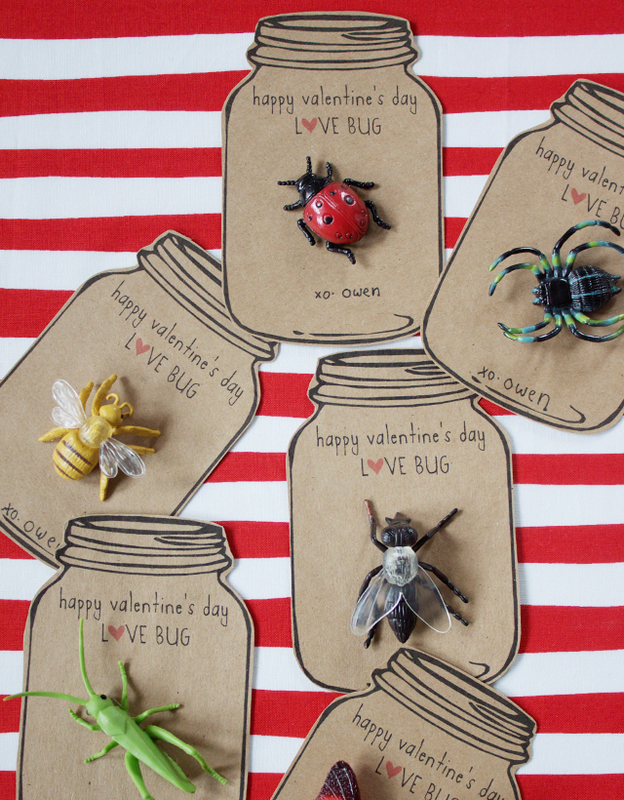 Modern Parents Messy Kids is featuring a whole bunch of Valentine’s activities and crafts including these adorable love bug valentine’s cards. I love the simplicity of these pixel heart valentine’s cards by Mini Eco. There is a printable template too! 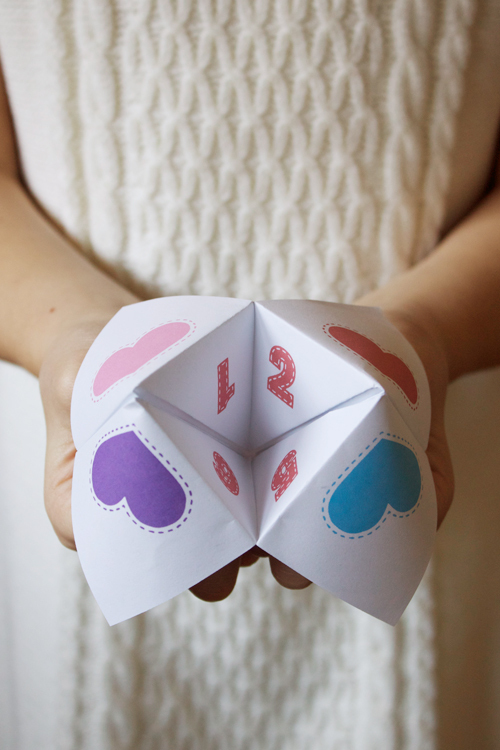 On Design Mom there is a printable pdf for this cute valentine’s fortune teller. Using a heart-shaped cookie cutter for fruit, pancakes, toast or other treats is such a simple way to bring a little Valentine’s feeling into your kids’ day. Koo and Poppet via Bloesem Kids. This adorable doily onesie also comes as an adult t-shirt and a kids’ t-shirt. Too cute! Free downloadable monster valentine’s cards from Small for Big via Bloesem Kids. Potato Stamp Valentine’s Garland by Babyccino Kids. 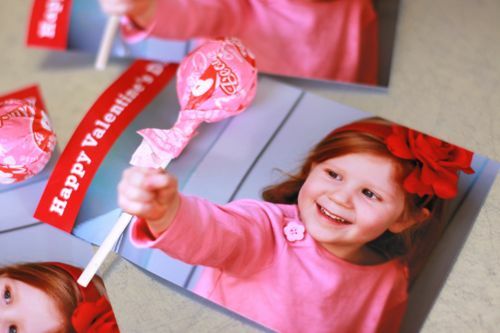 3D Lollipop Valentines by Design Mom. Also by Design Mom, cute Valentine’s book marks.